Nazlı Mert, a Turkish woman with a 10-month old baby, has been put in pre-trial over alleged links to the Gülen group, which is accused by the Turkish government of masterminding a coup attempt in 2016. Mert was initially detained by police on June 3, 2017, days after she gave birth to a baby at Lokman Hekim Hospital in Ankara’s Etlik neighborhood. She was released pending trial while her husband sent to prison over his alleged ties to the Gülen group. On April 23, 2018, a Kırşehir court this time ruled for the arrest of the woman on coup charges, putting her and her 10-month old baby in a prison in the Kırşehir province. The woman was picture with her baby while being transferred to the prison late on Monday. Nazlı reportedly gave birth to a baby in a caesarean procedure. Nazlı’s deention right after giving birth was not the first detention of a woman immediately after delivery. In June 2017, Turkish police detained Elif Aslaner, a religious education teacher who gave birth to a baby at a private hospital in Bursa. In May, Aysun Aydemir, an English teacher who gave birth to a baby in a caesarean procedure, was detained at the hospital and subsequently arrested by a court and put in pretrial detention with a 3-day-old baby in Zonguldak province as part of an investigation into the Gülen group. In late January, Fadime Günay, who gave birth to a baby, was detained by police in Antalya’s Alanya Başkent Hospital. 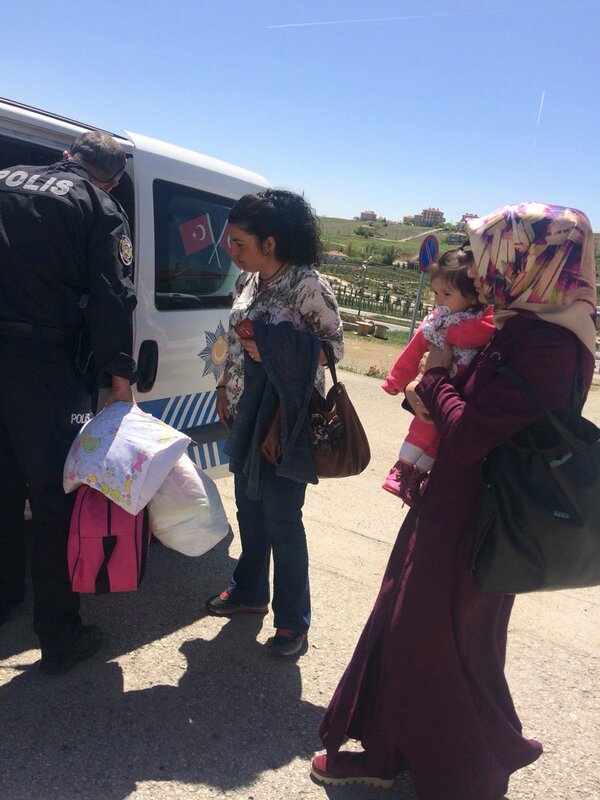 In early January, Ş.A., a former private school teacher and mother of a week-old premature infant, was taken into police custody over links to the group while she was on her way to the hospital to feed the baby. Turkey survived a military coup attempt on July 15 that killed over 240 people. Immediately after the putsch, the Justice and Development Party (AKP) government along with Turkey’s President Recep Tayyip Erdoğan pinned the blame on the Gülenists.